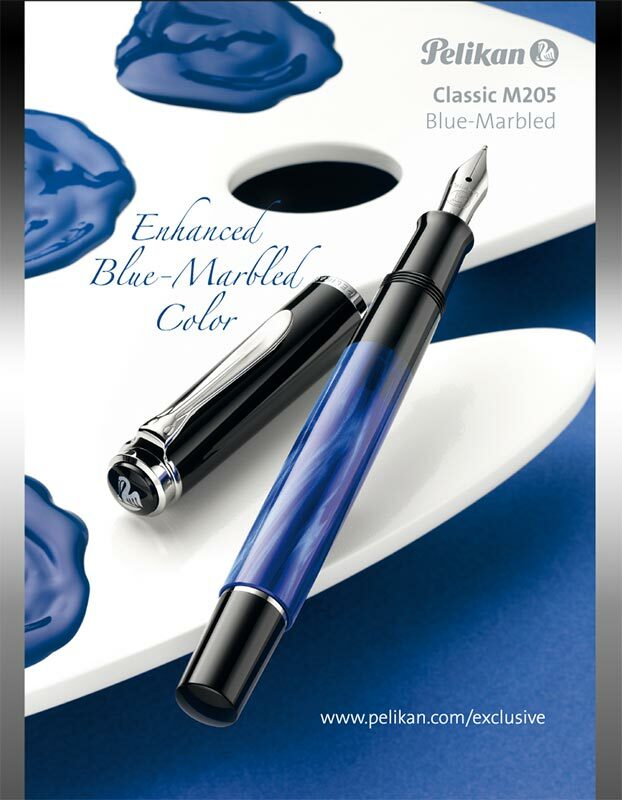 The series 205 Blue-Marbled is back and brighter than before. 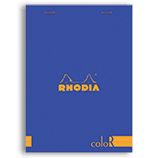 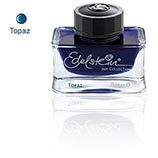 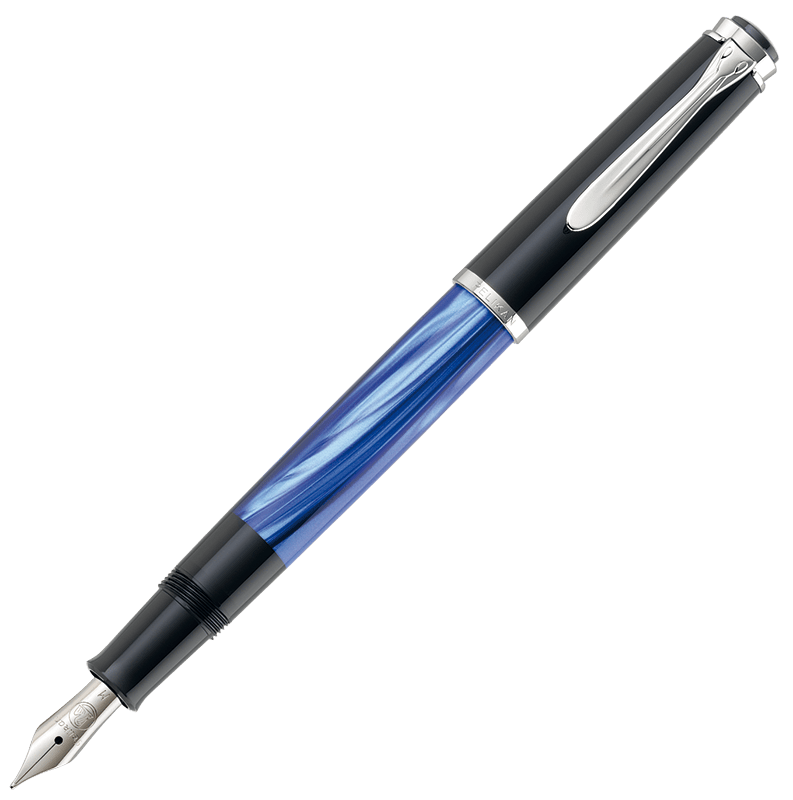 The new blue-marbled version is a fascinating mix of different shades of blue that gives the pen a deeper depth of color. 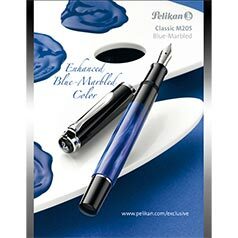 The silver rings and trim compliments the elegant blue marbled texture in this distinct series. 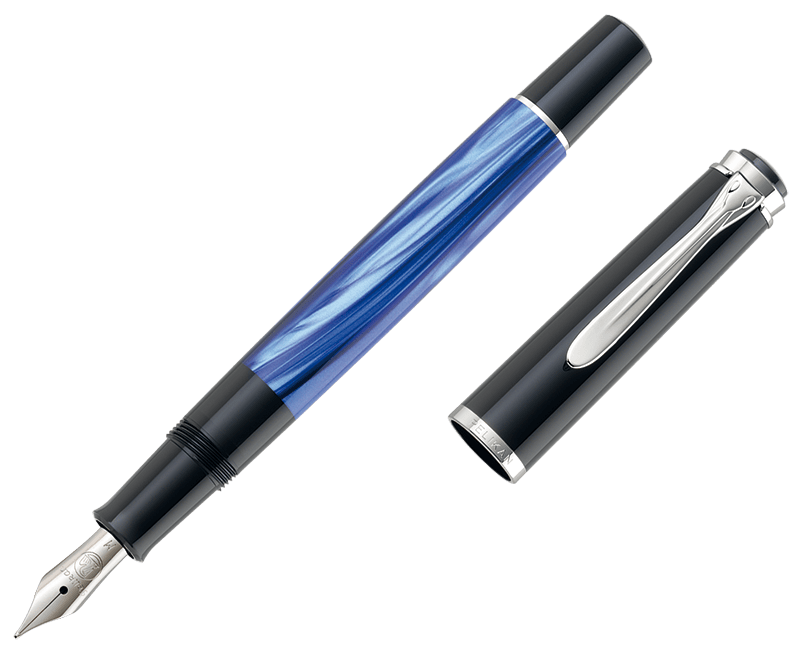 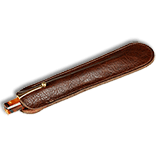 This model is equipped with a highly polished stailess steel nib that is available in Extra-Fine, Fine, Medium, Broad point, or Flex nibs which are crafted from 14K M400 Pelikan nibs. 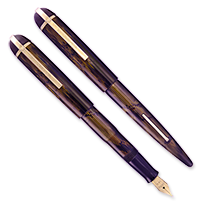 *Custom grinds are not an option on Full Flex Fine nibs* Please allow ten business days for flex nibs to be made.